Kicking off a quick lil series of reading wrap-ups is the worst books I read in 2018. Here’s the thing: I didn’t read any bad books this year. I enjoyed a good number of books on this list, but even though I liked reading them in all their trashy YA-ness, I can also objectively recognize that these are poorly-crafted books. There’s room for improvement; let’s just leave it at that. Of all the 2000s paranormal romance books, this series is definitely one of my favorites, which is why I was disappointed by this book. 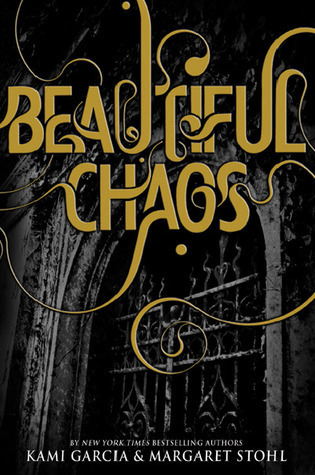 The first two in the Caster Chronicles, Beautiful Creatures and Beautiful Darkness, emphasized the development of the main characters, and I felt that this book lacked a comparable character arc. 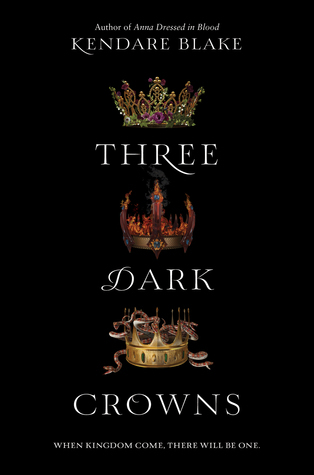 With Three Dark Crowns, there was simply too much going on for me to enjoy the story. Between the three narrators and the hosts of characters that surround each of them, I practically had to draw diagrams to keep each character straight. I plan on continuing the series because I’ve heard good things about the second book, but this book didn’t do it for me. Don’t get me wrong, I love my girl AC and her army of strong teenage females, which is why I was even more disappointed by this book. The premise was too far-fetched for me, and the entire story rested on this difference between possibility and plausibility. A girl with a sparkly hatchet who wants to rescue the president’s son so she can kill him herself? Possible, but not plausible. This book is a prime example of YA fiction that I thoroughly enjoyed even though it is trashy literature. I talked about this book a little bit in a prior review and explained why the aesthetic of this book didn’t work for me. It felt like there were five independent cultures existing within mere miles of each other, even though traveling from culture to culture is common. It didn’t make sense and frequently pulled me out of the story. Ok y’all, put your pitchforks away. I know most of y’all would go down swinging for this series, but the immaturity of the narrator’s voice sent me over the edge. I DNFed it at around 80 pages, which is why I had to include it on this list. Maybe I’ll give it another go and try to read farther in the series, but for now, I’m just going to focus on books that don’t make me cringe. Like The White Rose, the third book in this trilogy was not great. Also like The White Rose, this book was super improbable. The revolt against the wealthy was poorly-constructed from the start and lead to an even more improbable ending. I genuinely cringed through the entire book. All this book was string me along for 400-something pages. Is main character Luce falling in love with him, or isn’t she? Is the swoony love interest a fallen angel, or isn’t he? I stopped caring around halfway through, but since I found the entire series in perfect condition at a consignment store, I feel obligated to keep reading. I say this with the most love possible: this book is not good. The characters are dull and flat because the elegant description and extravagant worldbuilding overpower any opportunity for character development. 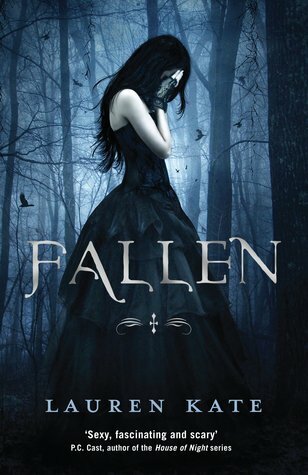 Like Fallen, I stopped sympathizing with the characters about halfway through because they became pure trope material. I went more in-depth on my thoughts in my non-spoiler review. What were your worst reads of the year? Do you agree with my picks? Not If I Save You First was probably one of my worst reads of the year as well, which was a shame b/c I love Heist Society so much! I couldn’t even finish The Belles, the writing was too much for me. Ah mine was an e-arc but I just gave the feedback that I couldn’t finish because I was struggling so much! The only ones I’ve read of these are Shatter Me and Fallen and I DNFed both of them before the half way point. I couldn’t be doing with either of them. Shatter Me did have an intriguing premise but Juliette’s constant whining drove me insane, and I thought some of the twists I read were far too convenient. No, not my thing. Also, I don’t know if it is just me but the cover of White Rose looks like it could be a carbon copy of any of the covers from a Keira Cass book. There’s such a striking similarity with the poster girl in a dress and the font. Oops. Sorry. It just jumped out at me. My opinion on The Belles is definitely unpopular lol your perspective on Crazy Rich Asians is interesting!! I’m planning on reading that book soon, so am interested to see how my thoughts compare to yours.